17 family members spent Thanksgiving with us. We rented two residences to house everyone. My sisters Leila and Ginny and their husbands, Dennis and Walid, stayed with Ray and me. Don and Colleen SHER (congrats to my brother and Colleen on ending their 30 year non married relationship by secretly getting married earlier this month), Jessica, Lena, Lane and Nicole stayed in a nearby rented condo and Brett, Match, Ramsey, Josh, and Dean stayed in another rented home. Saturday night the boys made us dinner in their rented home. After the football game and some great bbq’d steaks (thanks Ramsey), baked potatoes (thanks Lane) and a tasty Lebanese salad made by Walid, Jessica and Leila (daughter and Mother) started dancing to music and the pants wetting laughter began. My sponsor, Debbie, dressed up as Marilyn Monroe, while her good friend Rita dressed as Rita Hayworth for Clancy’s 50th birthday party. I don’t know how regular I will be with posts this week as I’m planning for my family’s arrival this Thanksgiving. They will be staying here in the desert until Sunday. Can’t wait. My son Lane and his girlfriend Nicole are arriving late Wednesday night and my stepson, Ray’s son, Josh is on leave from the Navy and will arrive sometime Wednesday too. There will be 17 out of 18 of us on my side of the family meeting here together for Thanksgiving. I know my parents looking down on us from above will be very happy, as they always wanted us as a family to stay connected and see each other at least once a year. Thank you Mom and Dad for the charmed life I have. I have a lot to be thankful for. Thank you to all of you who follow this blog. I’m grateful for you. I enjoy your comments on this site and in person. hmmmmm. Get up at 3am? I don’t know about that. But I do know I like the morning hours when the house is still. This clip is almost 15 minutes long, but well worth the time spent watching it. Ray and I were waiting while a Fix It place was replacing my backpacking watch battery. So during the 20 minute wait I joined Ray who had found this massage chair next door. It was a no brainer. I sat down. The sales person set me up. He had the $1500 chair and I was in the $4000 chair. Why did his massage look better than mine felt? 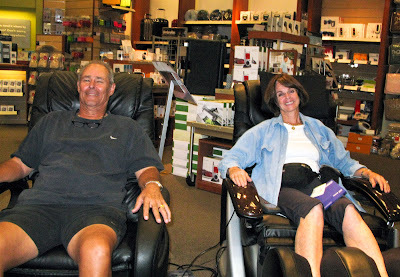 A couple entered the store and cracked up when they saw us dreamily enjoying our chair massages. Since the couple opened up conversation, I didn’t hesitate to ask the man to take our photo. My morning meditation routine is to read blogs of note on Blogger.com. After watching this video I feel cheated in the “talents given out” department. And this blog really got my attention leaving me feeling very sad. The first blogger I ever read. 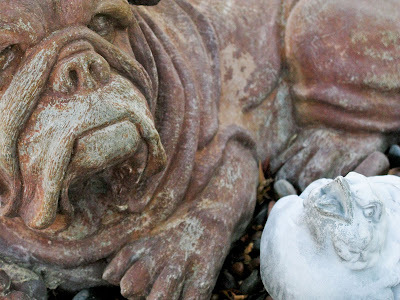 The link below takes you to a woman blogger I followed religiously for many years. And then all of a sudden she stopped maintaining her blog. 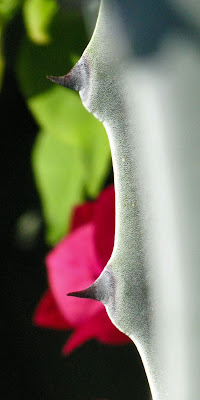 Tonight I happened upon an old link to her blog and low and behold found she is back blogging again. Before Tonya stopped keeping her daily blog, I read every entry she wrote. I luckily happened upon Tonya’s blog about 4 years ago. She was my mentor. A day didn’t go by without racing to read her blog. Her writing and photography speak to my heart. I was very sad when she stopped blogging earlier this year. Tonya had/has an incredible following as evidenced by the 33 comments in response to her challenge below. This blog entry below provided an evening’s entertainment for about 16 of us when I gave this assignment out and then we all met and read what we scratched off, how it made us feel and what we got out of doing the assignment. Try it. You’ll be surprised how good you’ll feel. I’d love to hear about your experience. Today, I challenge each of you to unload something substantial in your lives. Whether it be a major life decision you’ve been putting off, something unpleasant but necessary you’ve been avoiding for awhile, getting something heavy off your chest, off your mind, ridding yourself of extra negative baggage, saying something that’s been on the tip of your tongue for a long time, confronting something, removing something, completing something, beginning something, ending something. Even down to just knocking a heavy to-do list item from your list that’s somehow managed to transfer from day.. to day.. to day… for weeks or months now, and never gets addressed. All of these things put weight on our shoulders. They take up precious mental real estate and put lots of psychic yardage between ourselves and the things we WANT to be doing, experiencing, thinking about. Which results in the negative loops we have so much trouble digging out of. So go rid yourself of something, and then come back here and tell us about it. In fact, I want this for you (and me) so much that I won’t be posting another word here until I’ve got at least 25 responses in comments. Even if it takes all weekend, or the rest of next week. Or longer. Share this with your friends/family/readers too, you can direct them here if you like so they can share their own. What can you rid yourself of? Walk Around the Block after am Xizer class. I walk home from the Xizer class at the fitness center here. I look for photo ops. The light is beautiful at 7:30am but everything looks the same here in Mission Hills CC. So I’m forced to look for the shot within what I’m looking at. Not something I’m good at, but I want to get better. Cupcake had told me when he was in school one of his photo assignments was to take a photo every 10 steps. Hmmmm. Some day I will try this but not on Thursday mornings when I need to get home to prepare for heading into LA around noon. This mornings’ best picks. Other shots I liked, but haven’t posted, were out of focus. They don’t look out of focus to me until I look at them in an actual size view option in Photoshop. This top shot is soft (out of focus). Linda, "Go look at the moon out front." 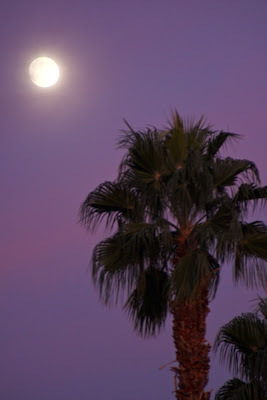 Ray had just returned from Trader Joe’s, when he told me to go outside and look at the beautiful moonrise, still rather low in the sky. I went out with my Canon 40D and tripod to see if I could for once capture the moon with some detail as opposed to capturing it all blown out and overexposed as I usually do. Not only is exposure a problem for me, but the moon and clouds are always moving even though I can’t really see the movement. So I tried to shoot with the fastest shutter speed I could and still have the moon exposed correctly for detail. While in Mammoth trying to shoot the moon, I got frustrated and gave up. 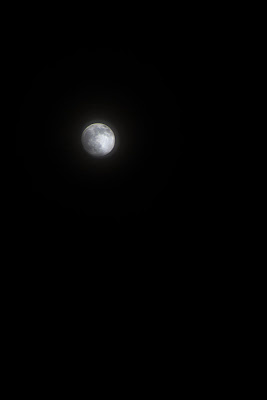 But last night I actually got some detail in the moon with the 28 to 200mm lens I was using. I’d read that shooting the moon when it is closest to the horizon line (rising or setting) helps in generating a sharper image. By the time I finally fiddled around with all my equipment, the moon was much higher in the sky. 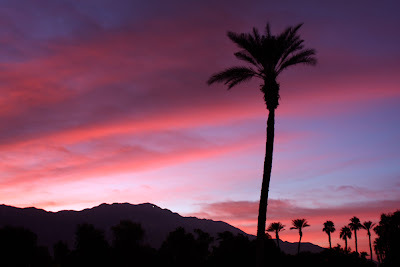 Color over Mt San Jacinto.